Please note: This product has reached its end of life. Please contact us in case you have a demand for it. 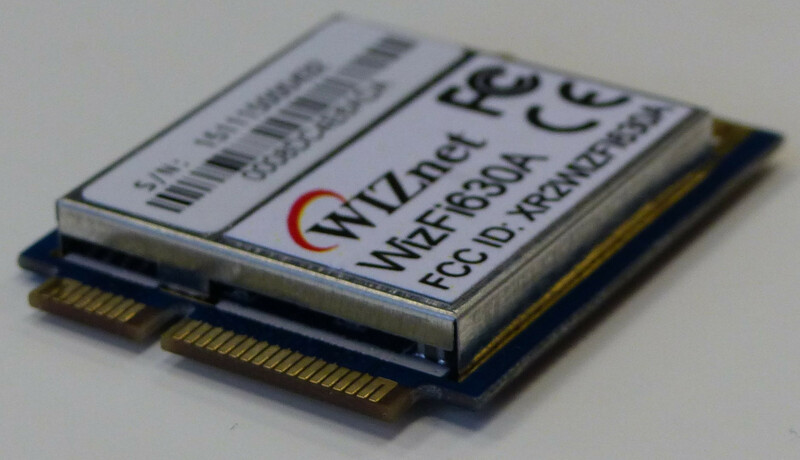 The WizFi630A is a high performance 802.11b/g/n embedded WiFi module. It is in the form factor of Mini PCI Express, which means standard Mini PCI Express connectors can be used for mounting the module on a PCB. But the pinout itself is different from Mini PCI Express, which means the module is not intended for use inside of a normal PC or notebook. The operating system of this module is powered by OpenWRT. WizFi630A is the pin-compatible successor of WizFi630.